To look at reality, it is not enough to gaze at ourselves in the mirror; we must step through it. Art Today) is an exhibition of works by a well-established group of artists from that storied Caribbean country. 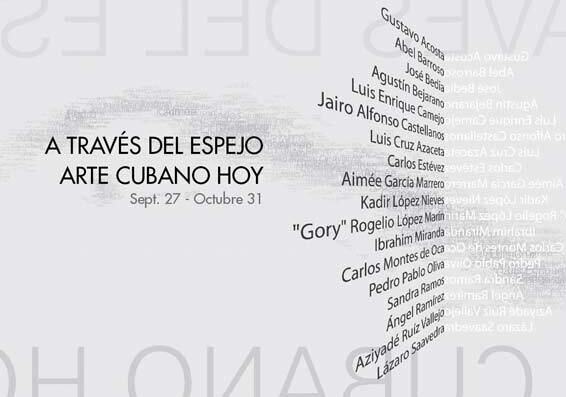 This group show, organized by Panama’s Allegro Galería, will open on September 27, 2007. Works by Luis Cruz Azaceta, Pedro Pablo Oliva, José Bedia, Gustavo Acosta, Rogelio López Marín (Gory), and Ángel Ramírez – all of them accomplished creators whose vast production has had a major impact on the art scene ever since the eighties (the seventies, actually, in some cases) and whose relevance is still as powerful today. They are joined here by the works of Lázaro Saavedra, Agustín Bejarano, Carlos Estévez, Sandra Ramos, Ibrahim Miranda, Abel Barroso, Aimée García Marrero, Carlos Montes de Oca, Kadir López, Aziyadé Ruíz, Luis Enrique Camejo, and Jairo Alfonso – all of whom are the essential figures in the Cuban art world of the last fifteen years – that illustrate the vitality, the convergence of generations, the conceptual depth, and the anthropological vocation, among other vital traits, of a vigorous artistic movement that enjoys a well-deserved international recognition ...read more.